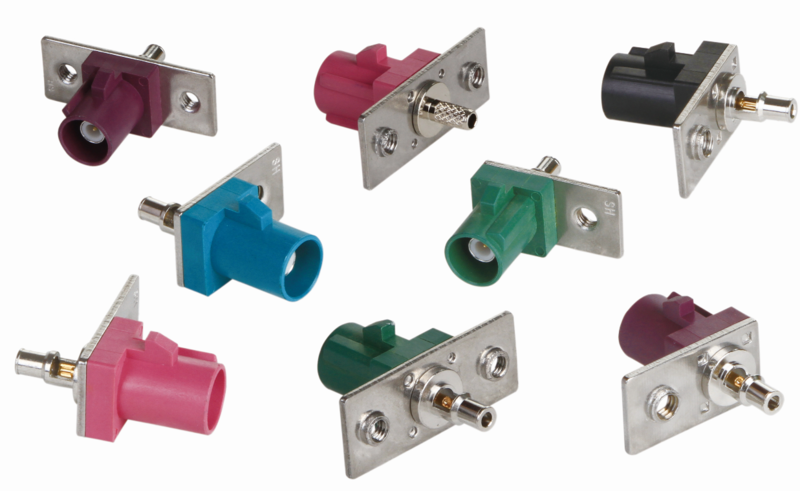 RF connector is used to connect both devices and signal transmission. (ie.wireless module and antenna).The application is much wide from WLAN,GPS,GSM ,Radio,VHF,DVB-T,and even for medical instrumentation. Your connector is straight or right angle? Your connector is male or female? 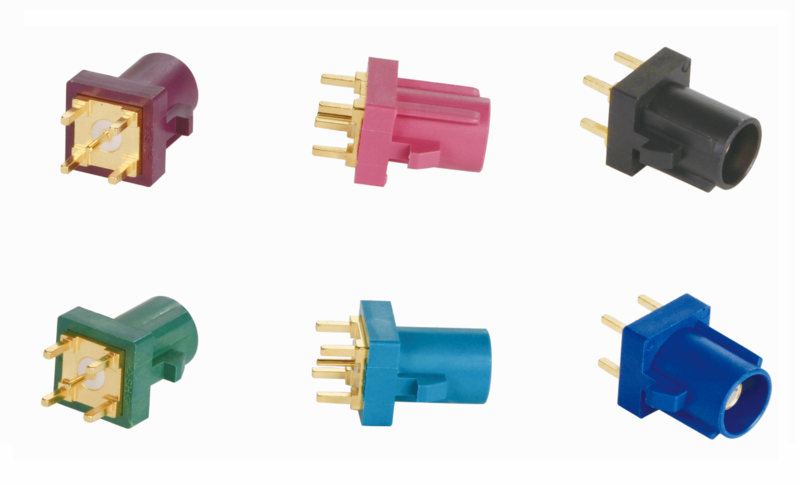 If you need custom your connector,please send us your connector drawing and quantity of order? 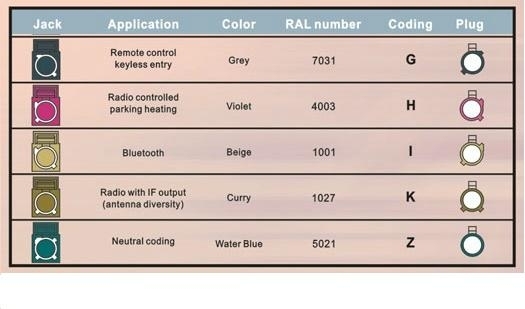 The German and American automotive industries have standardized a high-performing, cost-effective RF connector based on the FAKRA and USCAR standards for automotive telematics. 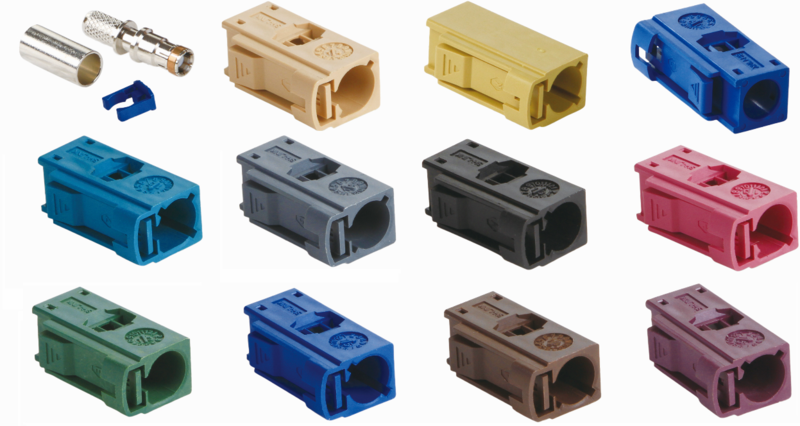 Utilizing a standard metal SMB connector embedded within a plastic housing that features multiple colored codes for easy identification, FAKRA connectors are designed to perform up to 4GHz and meet the particular mechanical and environmental requirements of the automobile industry. 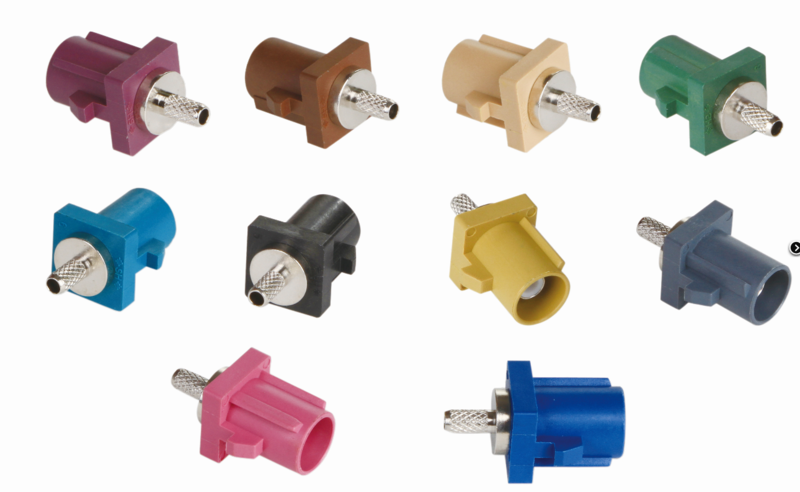 Beyondoor is full solution professional FAKRA connector Supplier. 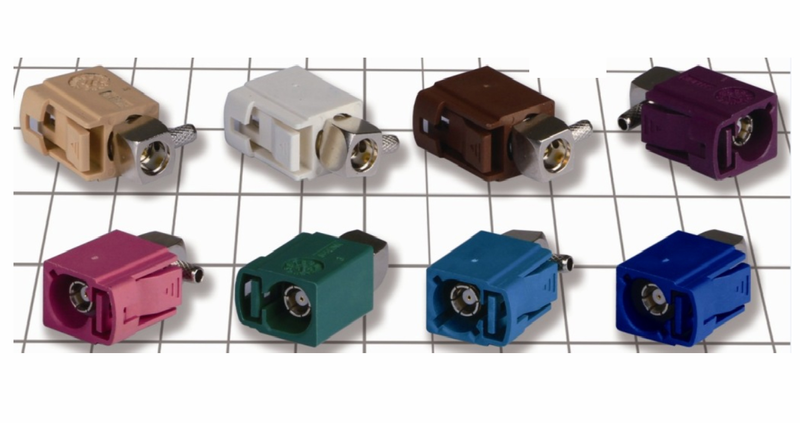 Professional manufacturer of RF connector , Rohs,Reach and CE compliance. All products have been tested before put on market.The manufacturing system command for each RF connector will be built by engineer according to approved drawing every single procedure on manufacturing system command has quality control rule ,and QC check in-processing all the time. 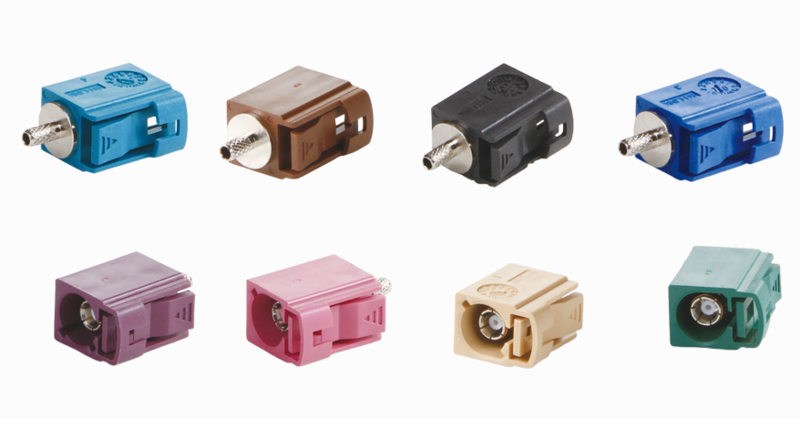 A systemized manufacturing procedure,100% signal continuity testing ,in-process,and out-going QC inspection guarantee every customer to receive best quality connectors. If there are any quality problems of our connector, you can get replacement or refund within one year.